[Aram Bartholl] is building his own filesharing network that screws those fat cats who want to control your freedom. He’s added file cache devices throughout NYC (five so far but more to come) that are anonymous and free to use. Upload what you want, download what you want. They’re completely offline which means monitoring who’s doing what gets a lot harder and quite possibly requires a warrant from a Judge (we’re obviously not legal experts, your mileage may vary). 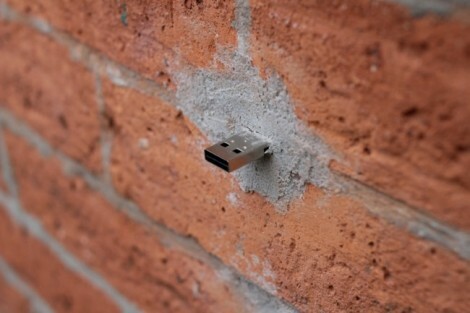 As for the slew of comments that are sure to point out the dangers of malicious USB device; We think everyone knows they’re taking on some risk when connecting to a USB plug protruding from a brick wall.